it isn’t even almost everything. externally speaking, that is. 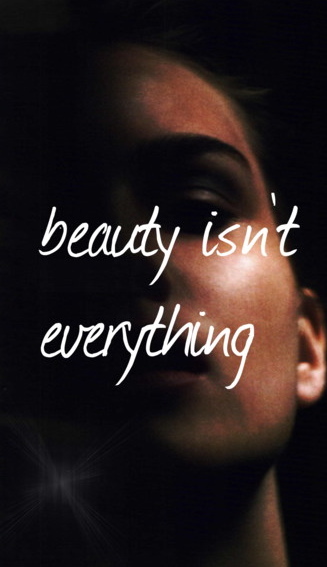 being beautiful on the inside is drastically different from having great hair, perfect teeth, flawless skin and so on. being beautiful on the inside has everything to do with others. not how they perceive us but how we make them feel. how we help without being asked, how we love without expectation, how we serve without seeking praise. we all know someone who fits the bill. let’s face it, we all aspire to lead more beautiful lives. many do. others don’t. those of us that fall short tend to live our lives with good intentions. we love our families, we’re good to others, we work hard and take care of our responsibilities. if you’re like me, you’re perfectly flawed in one way or another. but the beauty of imperfection is the endless opportunity for growth. may your year be filled with all the beauty your hands can hold & your heart can handle. This entry was posted on January 7, 2012 by suite7beautytalk in Beauty, MUSINGS and tagged beauty, my thoughts.